Railway Hotels of Australia © 2016 Copyright Scott Whitaker. 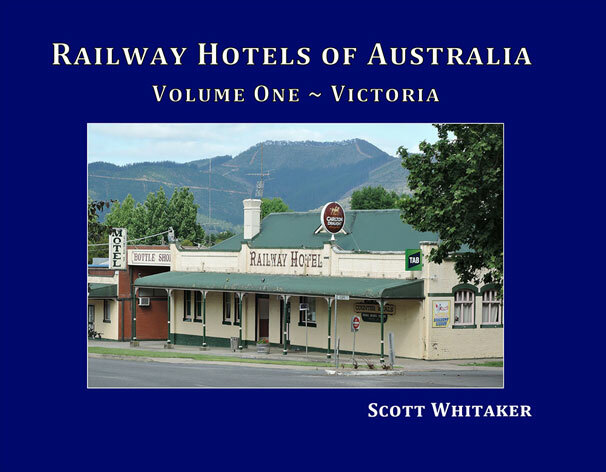 The guest speaker at the next General Meeting of the Kilmore Historical Society is Scott Whitaker of Wandong who earlier this year released his book “Railway Hotels of Australia”, the first volume featuring Victorian hotels of that name. Come along on Tuesday night 3 May at 7.30 pm at the Kilmore Courthouse and hear Scott’s story of what inspired him on this rail journey with a difference. Of course Kilmore boasts its own Railway Hotel, known to us as MacNamara’s or more simply Mac’s Hotel in Sydney Street. It has a fascinating history as do most of the hotels that feature in Scott’s book. This will be our last general meeting until September when the Annual General Meeting will be held and the guest speaker is Jim Claven who will speak on the role of the WWI Nurses at Lemnos Greece.